I was lucky enough to spend the Memorial Day holiday weekend in the South, by the beach. The Isle of Palms, just twenty minutes out of Charleston, was beautiful. Long beaches, perfect weather – an amazing escape. My tropic inspired dress comes courtesy of H&M – and their conscious collection. So now you can feel good about a cute dress, at an incredible price, WHILE doing something better for the environment. Win, win and win. Teamed up with some cute spring pumps, and my new venture the BIG HAT! 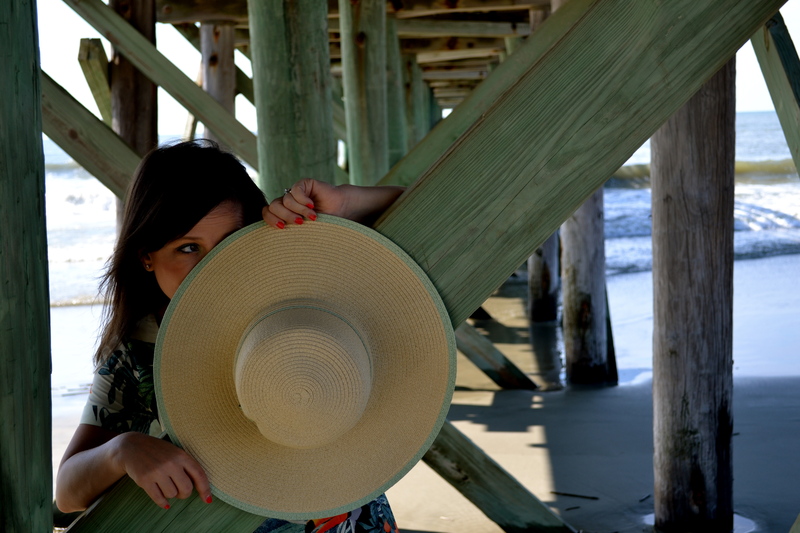 I have always been terrified of the large brimmed hat, but finally made the leap. Thoughts? Here’s to many sunny days ahead.